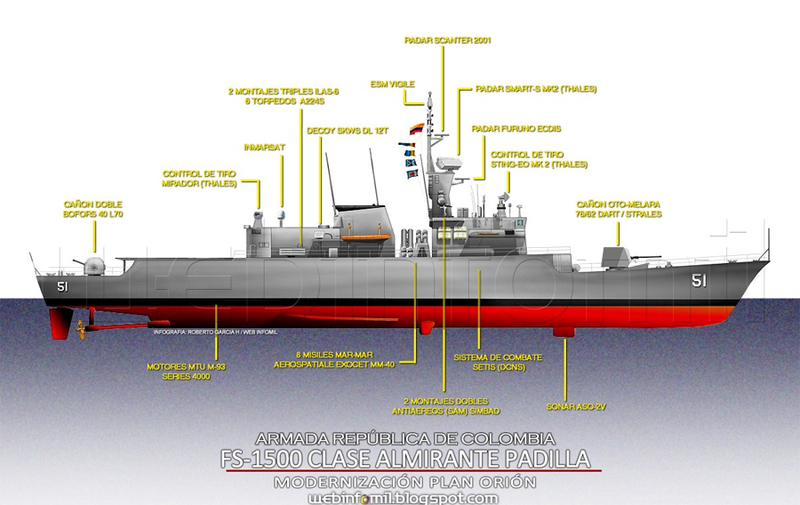 Depicted after the modernization some years ago. Last edited by reytuerto on December 23rd, 2018, 3:43 pm, edited 1 time in total. But I'd say that I'm not sure about shape of certain elements (base of funnel? shape of hangar, which, on Your drawing seen from above would look like a simple box, while in reality it was more like T shaped). Also, I'd say You could add more small details (all that equipment that can be seen on the photographs hanging on the walls of superstructure ), not mentioning all moorings etc. etc. Hope it would help (sorry for drawings not being quite horizontally-oriented ). Oh, thanks! That blueprints are much better than the one that I used for This drawing. I am going to improve it. Cheers. Thanks! 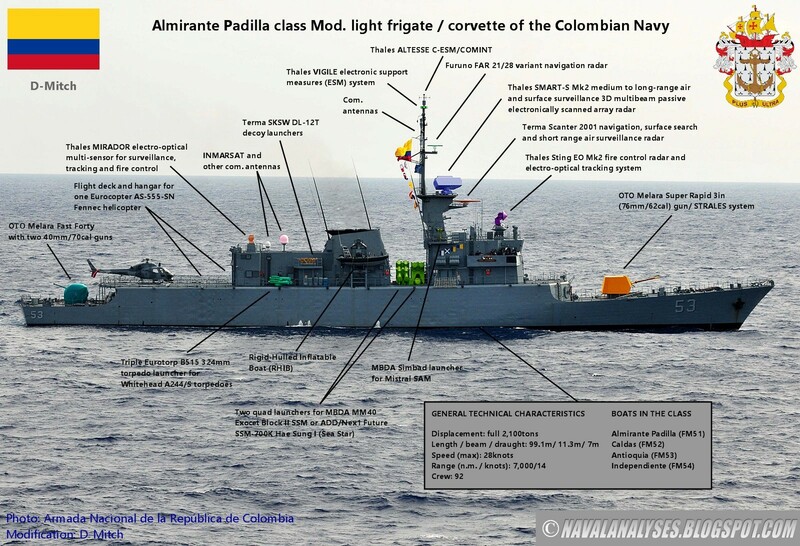 Now I have good blueprints also for the colombian corvette prior to the modernization. May I ask if you also have any drawing of the Malaysian vessels? Once again thanks and cheers! Oh, thanks Colombalike your pics and blueprints will be very useful! Thanks to Eswube and Colombamike for the comments and pictures. Cheers. PS: In a couple of weeks I will finish the colombian vessels. Last edited by reytuerto on January 18th, 2019, 8:08 pm, edited 1 time in total. Both are Nice drawings and a great addition but have one nitty question? Why's both of them drawings in JPG format and not PNG Format? "The British Air Farce have droopped their bums on the water works..They have scored a direct hot on the pimps"- British agent/gendarme Officer Crabtree, "Allo,Allo." Hi, Squizzy. I drew all my SB models in png format. I will check if it was a tinypic mistake. Cheers and thanks. PS: Please, check if the picture is in jpg. Few minutes ago, I changed the picture (but in my pc it was a png pic). Now, at least in my pc, it is a png image. Cheers!